Brian Buccellato has been letting this story boil slowly and I must admit some frustration with that. While the flashback sequences centering upon two mothers seeking to escape the cult have been riveting, the scenes centering on Travis - which take up most of the issue - seem to have been treading water as we are reminded that Travis is an orphan, he has anger problems, the only good things in his life are his girlfriend and his dog and that he really doesn't care about his past. Thankfully, Travis learning about his past - albeit in vague terms - seems to suggest some forward momentum and the argument with his girlfriend near issue's end reveals a wrinkle that promises some fresh drama next time. 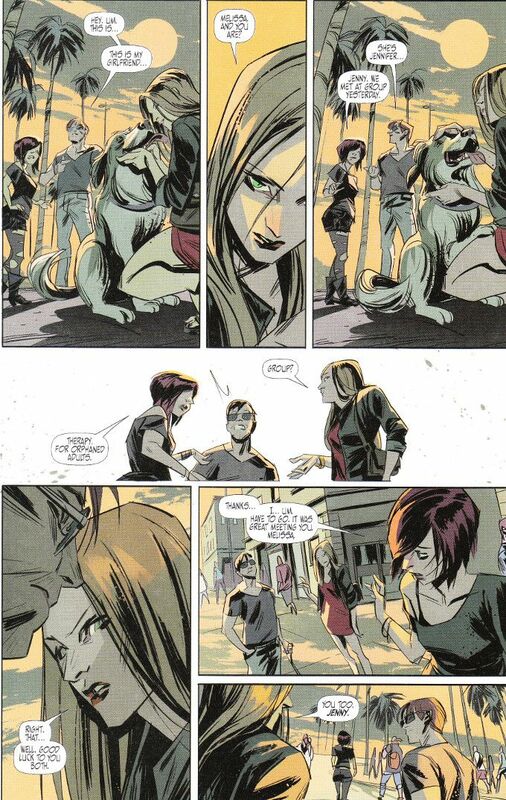 The art by Toni Infante continues to impress, however. 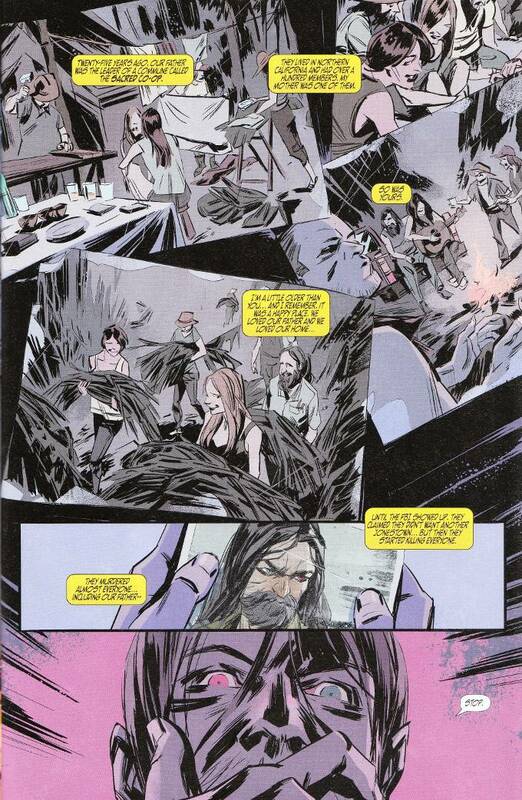 Infante's sketchy style perfectly suits the neo-noir aesthetic of Buccellato's story. The coloring is particularly impressive, with a dominant tint on each page enhancing every panel.